The nearly 5-year-old North Park location of Berkeley Pizza has shuttered, but the company will continue to dish out Chicago-style pizza from their downtown location, as well as at the weekly Little Italy Mercato Farmers Market. Inspired by Bay Area Chicago-style deep dish pizza concepts that he discovered while a student at UC Berkeley, Danny Palacios started Berkeley Pizza as a vendor at the Saturday Little Italy Mercato Farmers Market in 2009 before opening his first brick-and-mortar restaurant in downtown San Diego in 2011. 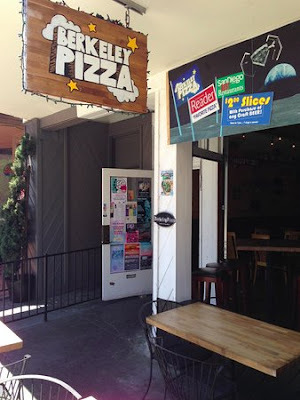 In Spring 2014, Berkeley Pizza launched a second location in the heart of San Diego's North Park. Berkeley Pizza's North Park location has frequently advertised a discount on Groupon, which is never a good sign for a restaurant. The eatery closed for business this week without any announcement. The downtown branch continues to operate during regular business hours and the company will continue to operate a stand at the Little Italy Mercato for the time being. For more information, visit berkeleypizza.net.